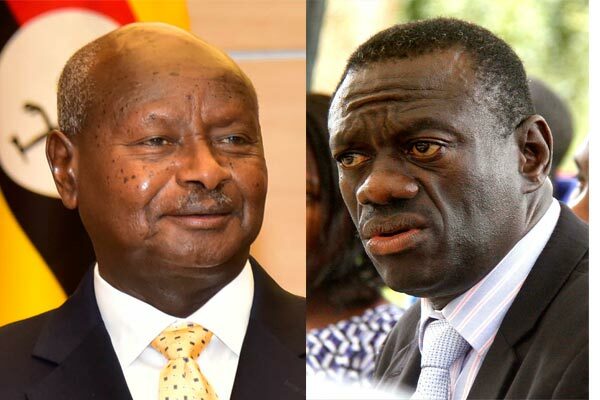 KAMPALA – Opposition lynchpin Col (Rtd) Dr Kizza Besigye has said President Museveni and his NRM government are responsible for the current problems facing the energy sector in the country. In a statement issued on Friday evening, Dr Besigye said that Ugandans will continue paying high power bills because of what he described as dysfunctional government systems and policies in the energy sector. He said because of lack of a comprehensive energy policy for the country, the government has ended up “mortgaging” the energy sector to foreign companies. “Theft/ corruption and dysfunctional government systems and institutions in the Energy sector are responsible for the power crisis in Uganda. Mr Museveni/ State House’s hand is pervasive in all the project scandals. The Ugandan people are, and will continue, paying heavily for the mega scandals in the Energy sector,” Dr Besigye said. “This is clearly one of the most disempowering and impoverishing failures/ betrayals of the Museveni regime. Less than 5% of the population has access to electricity due to the high cost and a very tiny distribution network. There’s no end in sight to the power crisis in Uganda unless a more accountable, transparent and patriotic government takes charge,” he added. The four-time presidential candidate explained that apart from hydroelectric power and biomass, Uganda has vast renewable energy resources in the form of solar, geothermal and wind. However, he said, unfortunately, up to now, no evaluation of these resources has been done. Dr Besigye gave an example of Bujagali power project which he said it’s mismanagement will forever hurt the economy. “The contract included a Power Purchase Agreement (PPA) that committed Uganda government to buy all the power to be produced at an agreed price. These agreements were a tightly guarded secret between “government” and AES Nile Power Ltd. All efforts by civil society organisations and Parliament to gain access to these agreements were rejected by government. Nalubaale (Owen falls) dam posed a potent threat to the proposed Bujagali dam because its projected life span had expired and it was known to be heavily cracked. A company of UK divers were contracted to assess the dam’s safety but the report was kept secret. If Nalubaale collapsed, the boulders and water released would wipe out the nearby Bujagali dam down the river. Theft/ corruption and dysfunctional government systems and institutions in the Energy sector are responsible for the power crisis in Uganda. Mr Museveni/ State House’s hand is pervasive in all the project scandals. The Ugandan people are, and will continue, paying heavily for the mega scandals in the Energy sector.